If our games weren't enough to get you excited about visiting, check out a few of our ongoing promotions we currently have at the Arcade! Bring in your current Report Card or recent Test and receive 15 FREE TOKENS on us. Must be an A grade to qualify. Exclusions Apply. Valid Monday - Friday ONLY. Each unique test or report card must be dated within 1 month of promo redemption. Limit 1 promo redemption per person, per day. 2x the tokens = 2x the fun! Every Friday and Saturday night from 8:00 pm - 10:00 pm is HAPPY HOUR. During this time, the staff will double the amount of tokens you purchase. Buy 100 tokens and receive 200! Visitors must purchase tokens in person to qualify for promotional pricing. Keep losing your ticket receipts? 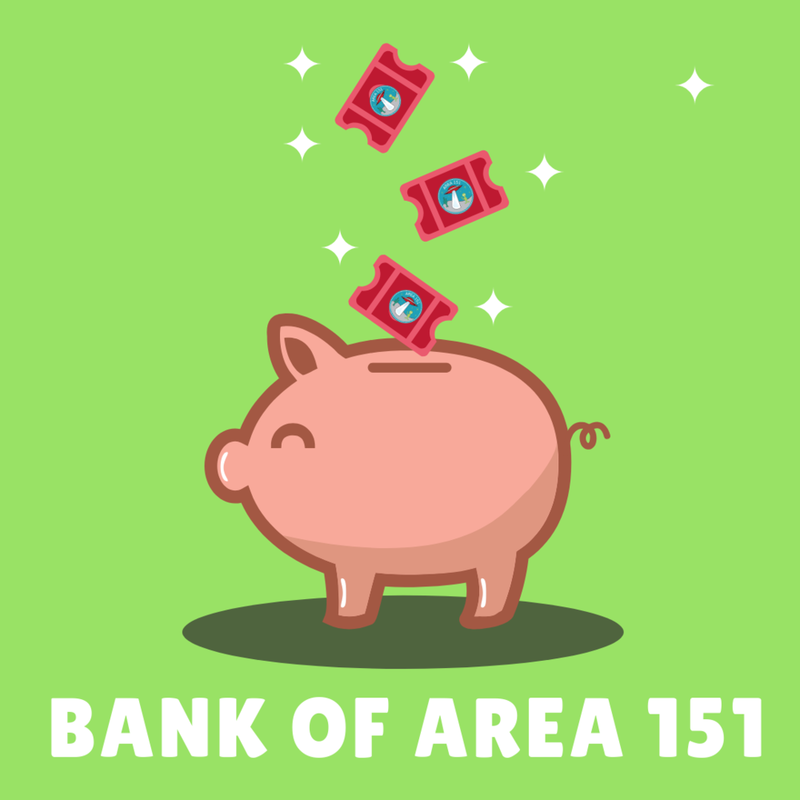 Area 151 Staff will help keep track of your tickets for you through our free ticket bank! It's now even easier to save up your tickets for a bigger prize. All you need is an email to apply.